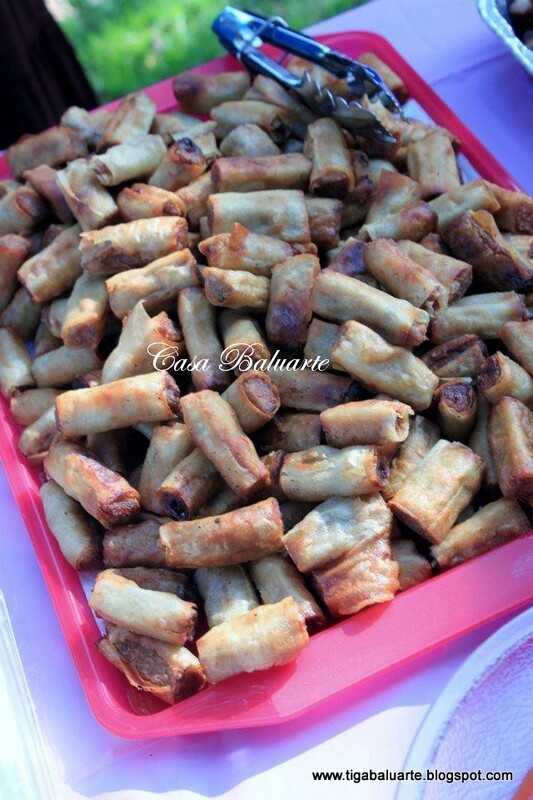 A finger food that is well loved by everyone when serve on a party, a gathering or any or no occasion. Mix ground pork, carrots, potato, celery, raisins, onions, garlic, salt, pepper, eggs, flour and cornstarch on a deep bowl. Mix really well and chill for 30 minutes. 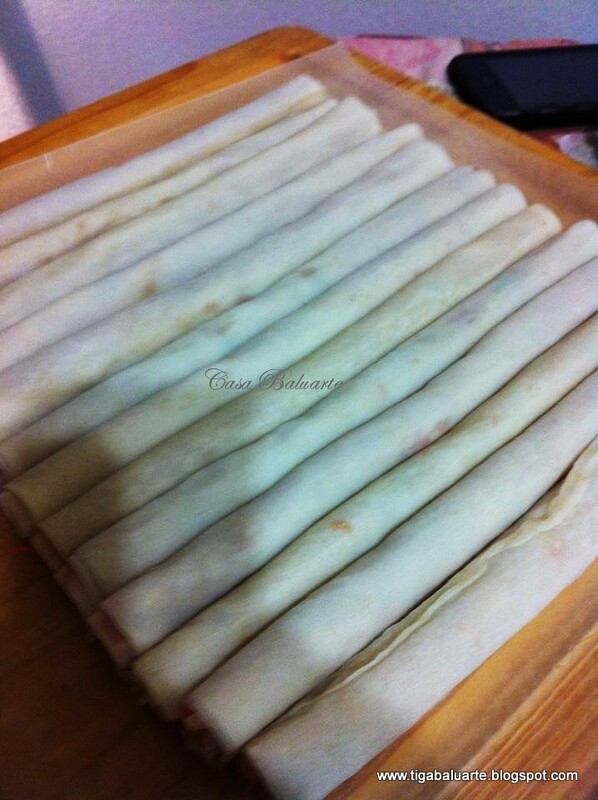 Scoop a spoon of the mixture on each lumpia wrapper, spread, roll and seal the ends of the lumpia wrapper with beaten egg white and cut into 3 pieces for bite size. When frying heat the wok first before adding the cooking oil. Reduce heat to medium low to avoid the lumpia from burning. You don't want the wrapper cooked but not the filling inside. (1/2 cup) Sweet Chili Sauce. For more tangy flavor you can add 1/4 cup of pineapple juice. Try it, even the kids will love it.